Macro Detailed View Of Juicy Beef Burger Layers. Cutlet, Onion, Vegetables, Melted Cheese, Lettuce, Sauce And Topped Sesame Seeds. Hamburger. 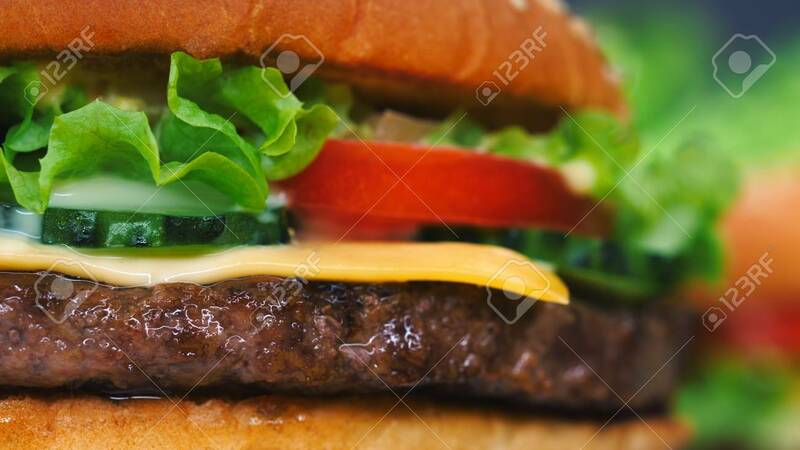 Junk Fast Food Concept Foto Royalty Free, Gravuras, Imagens E Banco De Fotografias. Image 113743669.